Ring Main Unit(RMU) is metal enclosed gas insulated compact switchgear unit used in secondary distribution up to 36 kV(36000 Volt), 630A. The RMUs are made of stainless steel and are hermetically tight, welded switchgear vessels. As a result, RMUs are insensitive/less sensitive to uncontrollable environmental conditions such as humidity, dust, condensation, small animals. 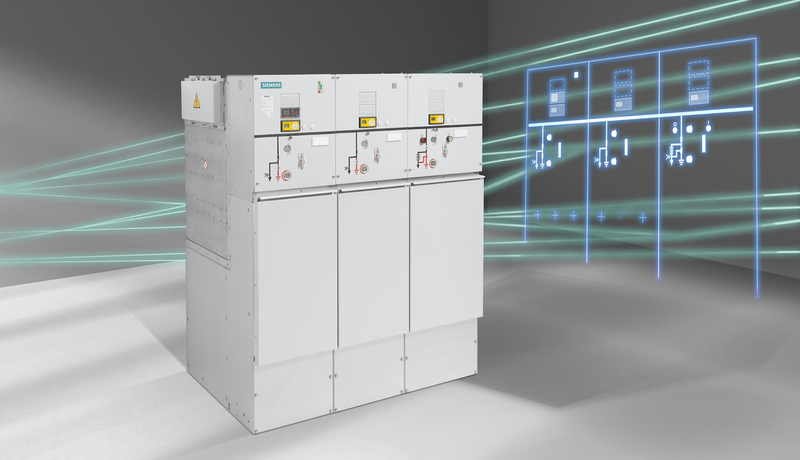 Switchgear vessels designed as sealed pressure systems results in maintenance-free switching devices and thanks to the use of SF6 insulation, compact dimensions are possible. 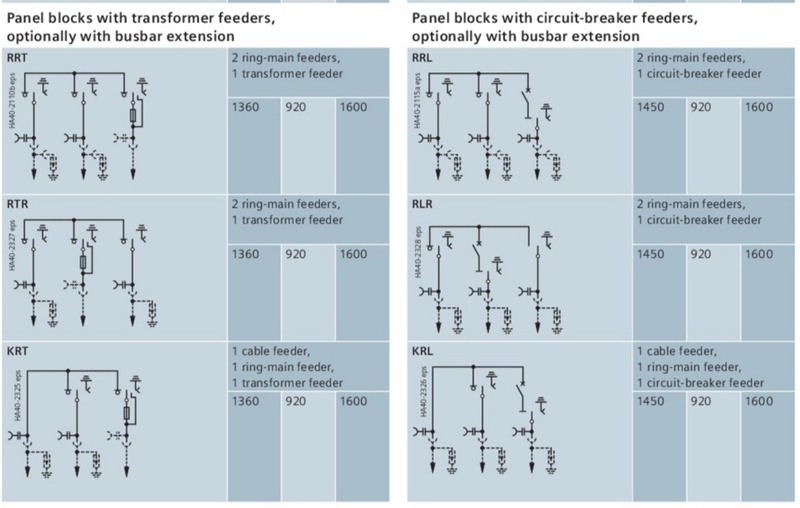 There are different combinations of modules or feeders in an RMU. These modules or feeders provides application of interest. The feeders can be Ring Main feeder, Transformer feeder, Circuit Breaker feeder, Bus Sectionalizer, Cable feeder, billing and metering feeder. Ring main feeder or Ring feeder consist of three position switch(explained later in this article) and current transformers to measure the current incoming from ring. This feeder keeps the individual RMU in ring with larger system of RMUs. Transformer feeder or T feeder consist of Three Position Switch and HRC (high rupturing capacity) fuse to protect the feeder during fault. Circuit Breaker feeder or Line feeder consist of Three Position Switch and Vacuum Circuit Breaker(to disconnect the system during fault condition) and current transformer whose secondary side is connected to a protective relay which sense the fault and give Trip command to the Circuit Breaker at the instant of fault. Cable feeder is vacant individual panel. Billing and metering feeder are used for billing purposes as the name suggests and it consist of Potential transformer (or Voltage transformer). 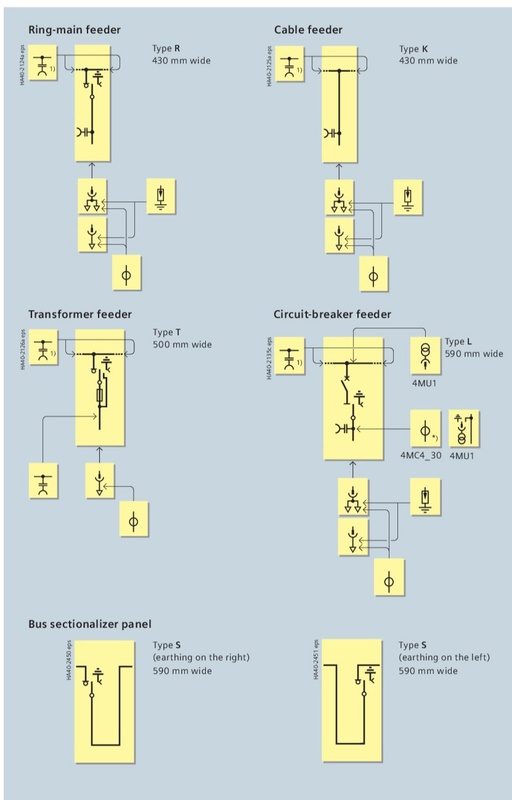 Three position switching devices are of three position design, having the ability to close or open or earth the feeder. To provide better mechanical interlocking, a three position is made of single shafts can be rotated to either closed or opened the disconnector or earth the line (only one operation at any given time). 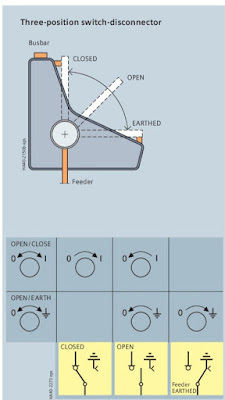 If the disconnector is closed (line/feeder is live) the switch can never be operated to in earth position. This is known as Service condition. 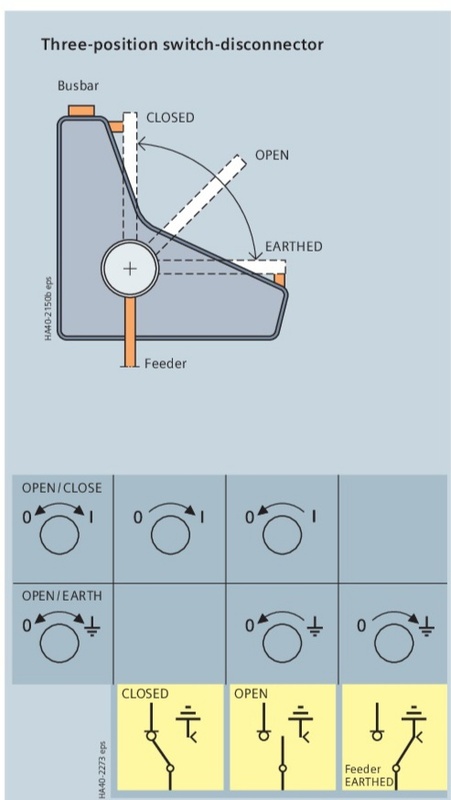 If the switch is closed in earth position, the switch can never be operated to in disconnector position. This is called Maintenance condition. The third condition is called neutral or Test. In this condition the switch is closed neither as disconnector nor as earth. The operation of Three position switch can be fully automated or mechanised. If it is automated it can closed/opened in either disconnector or earth position using a TNC (Trip/Neutral/Close) Switch. If it is mechanised, it can be operated using an operating lever.